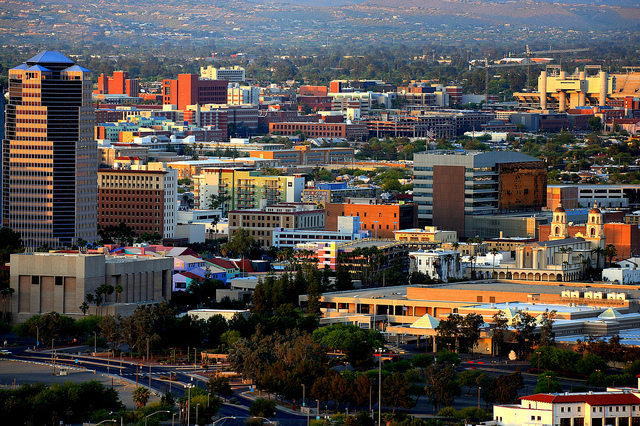 Known as The Old Pueblo, Tucson is one of the largest cities in Arizona and home to the University of Arizona. It is situated southeast of Phoenix and just 60 miles north of the Mexican border, giving it an enticing location in the Sonoran desert surrounded by mountains. Tucson is an increasingly attractive location for buyers. It was recently named one of the best cities for jobs, largely thanks to a number of optics manufacturers in the area. It has also been named one of the best places to live the simple life with its Mexican, Native American, and frontier roots. Tucson’s market is in recovery. Sellers are seeing a healthy amount of listings, and the entire housing market has seen significant appreciation over the last three years. And while prices are recovering, they’re still lower, on average, than homes on the national level, making Tucson an attractive location for those seeking a lower cost of living. In Tucson’s real estate market, it’s essential that you work with a highly qualified real estate agent. An experienced, knowledgeable agent can walk you through the experience of buying or selling a home with ease, helping you find the perfect home, or move on from your old home quickly and at the best price. We’ve found the 15 best real estate agents in Tucson. These agents have experience, great reputations, and a long list of happy clients that have had excellent real estate transactions with them. Our list of Tucson’s best real estate agents is in no particular order, as any one of them would be a great choice for your real estate needs. But we do want to hear from you on which one offers the best service. Please vote in our poll at the end of this article within the next 30 days to let us know which Tucson real estate agent you think is the best. Spirit Messingham is a third generation full time real estate agent with more than eight years of experience. He is regularly recognized among the top selling agents in Tucson, reaching the top 5% in 2012, top 2% in 2013, and top 1% in 2014. His success can be credited to putting the needs of his clients first, working with them one on one to fulfill their real estate dreams. Messingham specializes as a buyer’s agent and listing agent with strengths in relocation and consulting. He is also strong in contract negotiations, as he has more than a decade of past Fortune 500 sales experience. He offers excellent communication, education, and successful transactions for his clients. His clients say he is always available, and goes the extra mile to make sure they have all of the information and support they need to make good real estate decisions. He is a true advocate in their corner and willing to work hard for them. 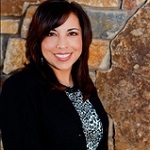 Tanya Ramirez is the owner and designated broker of Tucson’s TLC Realty. She has more than 15 years of experience, and is a buyer’s agent and listing agent with interests in foreclosures and short sales. She is also a native of Tucson, offering insight into the city’s neighborhoods and lifestyles that only a hometown real estate agent can provide. It’s her goal to offer home buyers a local option with a friendly feel, and she makes it her goal to make every home buying experience a fun and exciting adventure. Ramirez is happy to answer any question, and is prepared to take on every home buying goal, large or small. Clients say she is an expert in real estate, offering responsive, helpful, and professional service. 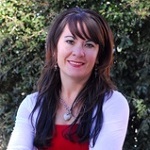 They note that she is personable and easy to work with, and offers incredible knowledge of the Tucson market. 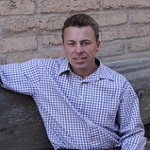 Michael Shiner is a top local expert for Tucson, with more than eight years of experience selling in the Tucson market. Shiner specializes as a buyer’s agent and listing agent, offering assistance with relocations and foreclosures. He is committed to helping buyers find the right properties at the best price, and offers maximum exposure and the highest selling price for home sellers. Shiner is careful to listen to what his clients want while helping them understand the details of financing as well as the local market. He works hard to get his clients the best deal possible. Sellers enjoy Shiner’s multi point marketing plan that is customized to each home for maximum exposure. They sell for the highest price possible with educated pricing, precise negotiation techniques, and a smooth selling process. Clients say he is highly professional and has exceptional local market knowledge. They enjoy how accommodating he is and appreciate how easy it is to work with him. 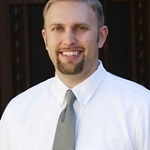 Founder of Farmers Real Estate, Clayton Abernathy has specialized in real estate since early 2002, giving him nearly 15 years of experience in real estate. He is a buyer’s agent and listing agent offering specialized services in property management and foreclosures. Abernathy stresses the importance of customer service and excellent attention to detail, delivering the highest level of service available to each and every one of his clients. Clients say he is highly knowledgeable and that he knows Tucson very well. They note how patient he is with their needs, and how highly committed he is to helping them make the best decision for their individual situation. Clients enjoy his professional, hard working service and often refer him to friends, family, and acquaintances. With more than 12 years of experience in real estate between her work as an agent and a loan officer, Corissa Miller is highly qualified to manage any residential real estate sale or purchase. She is the associate broker for Tucson’s TLC Realty, and holds a master’s degree in education and leadership. Miller is committed to educating her clients to make the best decision for their needs, and regularly offers classes to support first time home buyers as well as investors. She has an intense understanding of mortgage financing, and is an incredible asset when it comes to understanding not just conventional financing, but VA, FHA, and USDA loans. Miller is also an expert negotiator, helping her clients get the best deals whether they are selling or buying. She is committed to working one on one with her clients from start to finish. Miller is a member of the Arizona Association of Realtors, the Tucson Association of Realtors, and the National Association of Realtors. Clients are always impressed by how thorough, hard working, professional, and knowledgeable she is. They appreciate her years of experience and strong negotiation skills in ensuring incredibly smooth transactions. Michelle Niles has more than 16 years of experience in real estate, serving her clients since 1999 as they buy, sell, and invest in real estate. She has seen a number of ups and downs in the real estate market, and has learned how to successfully negotiate contracts and buy and sell homes in any market. Niles is committed to doing the best possible job for her clients, becoming their real estate agent of choice for life. She has experience in new home sales, listings, and buying homes not just for personal residences, but for investments. Niles is skilled in negotiating contracts, providing hassle free transactions, and is also an expert in helping clients prep their homes for quick, successful sales. Her clients say she offers superior service with constant contact, excellent research, and an ability and willingness to answer every one of their questions. They love how well she is able to deliver on their wants and needs, and how easy and low stress it is to work with her. Bizzy Orr specializes in real estate among the Sonoran Desert of Tucson. She is a buyer’s agent and listing agent with a particular interest in relocations and short sales. 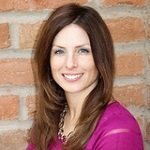 Orr serves the entire Tucson metro area and is committed to taking care of her clients and earning great referrals. She loves houses, particularly remodeling, staging, and finding the perfect home for her clients. Her background includes marketing, communication, and promotions, making her highly skilled in real estate sales, whether you’re buying or selling a home in Tucson. She also holds a bachelor of arts degree in communication. A proud military spouse, Orr has traveled the world — but chose to settle in Tucson. Her love for the city of Tucson, and real estate in Tucson is clear when you consider her recent recognition for excellence: in 2014, she joined the Realty Executives Diamond Club, the Tucson Top 1% of Realtors, and the Tucson Top 50 Real Estate Agents. Clients call Orr a dream, as she is always available and offers top notch communication to keep them in the loop every step of the way. They highly value her recommendations and advice. But what they enjoy most about Orr’s service is that she feels like a member of the family, but has the experience and professionalism that only a seasoned real estate agent can deliver. Lynn Kline is the broker and owner of Lynn Kline Realty. She has more than 32 years of experience in real estate, and has built a reputation for high quality service and practice standards. Kline holds a number of designations in real estate, including Certified Residential Specialist, Accredited Buyer Representative, Short Sales and Foreclosure Resource, and Graduate of the Real Estate Institute. She is an agent that her clients have come to rely on and trust to support them as a professional in any real estate transaction. Kline is committed to keeping her high standards of practice, and maintains her real estate firm to follow the most current trends in the market. Her clients say she is able to handle any type of transaction they need from her, finding unusual properties and making what can be a complicated process stress free and positive. They see how hard she works and trust her to help them make smart decisions in Tucson real estate. Victor Lopez is one of the most experienced real estate agents in Tucson, with more than 26 years in Tucson real estate. He is the associate broker of HomeSmart Advantage Group and serves the greater Tucson, Sahuarita, Oro Valley, and Marana areas. Lopez is a buyer’s agent and listing agent, and has particular strengths in relocation and foreclosure transactions. He is committed to delivering excellent service in real estate day in and day out. He knows that every day he works in real estate means supporting his clients as they make decisions for their financial well being, future, and life goals. With nearly three decades of experience in Tucson real estate, he has seen many ups, downs, and market turns, and he is comfortable advocating for his clients even in a housing market like today’s with tight inventory and a need for timely action. Lopez is always available to his clients, and delivers quick responses seven days a week. His clients have come to depend on him for all of their real estate needs. Clients say he is very helpful and accommodating to any schedule. They feel lucky to work with a knowledgeable, seasoned professional with his warm, patient, and kind personality. 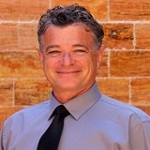 Ronnie Spece is broker and owner of At Home Tucson Realty. He is a buyer’s agent and listing agent, also offering services for investors, flippers, auctions, and foreclosures. He is also a native of Tucson and an alum of the University of Arizona. Spece has strong ties to the Tucson community, and knows Old Pueblo very well in particular. He is committed to offering his clients the ideal real estate experience as they buy and sell homes in Tucson. He subscribes to a strict code of ethics and is committed to maintaining a high level of knowledge in buying and selling real estate. Spece works hard to give each of his clients the service they deserve and make each home sale or purchase an exciting experience. Clients enjoy his responsive, helpful service and say he is excellent at not only selling their homes, but saving them money. They appreciate how well he knows the market, offers timely advice, attention to detail, and an ability to master the market with technology. Owner of Cobb Realty, Chris Cobb is a United States Air Force Veteran. 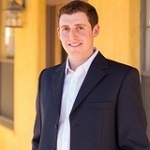 He has more than 10 years of experience in real estate, moving to Tucson in 2005 and beginning his real estate career. 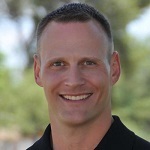 He is dedicated not just to Tucson, but to the service members at Davis Monthan Air Force Base in particular, as his father was the command chief at the Davis Monthan, Whiteman, and Vance Air Force bases. His specialization is as a buyer’s agent and listing agent, particularly with relocations and short sales. Cobb is committed to offering his clients guidance and support throughout the entire buying or selling experience. Clients say Cobb and his team are highly responsive and knowledgeable, offering prompt service and plenty of details for making informed decisions. They appreciate how responsive he is, with quick answers to emails and texts. And of course, they enjoy how well he is able to secure the best deals for them while making the entire process easy, whether buying or selling. 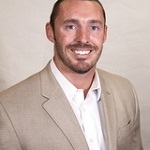 Michael Rhodes with Corner Connect has more than 15 years of experience as a real estate professional. He and his team have sold more than 300 properties per year consistently for more than 15 years. Rhodes is committed to helping sellers sell their homes for top dollar. He uses programs including a smart selling system, free home evaluations, and 48 hour cash offers. Buyers benefit from the Most Valuable Buyer Program, offering tips for getting the best deal, a coming soon list of homes, and the opportunity to purchase homes in Tucson before they even hit the market. Clients say Rhodes offers an excellent experience, fast sales, and excellent professionalism and attention to detail. They appreciate his dedication to the craft of real estate, and find the process of real estate to be easy when they’re working with him and his team. 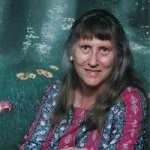 Carol Garr is broker and owner of Garden Realty. She has more than 27 years of experience in Tucson real estate, and has been providing caring, competent, personalized service since the start of her career. Garr is a graduate of the University of Arizona, and has been a Tucson resident since 1967. She has a superior knowledge not just of the city of Tucson, but of the city’s real estate market. Garr holds a number of distinctions in real estate, including her broker’s license, Graduate of the Realtor Institute, Accredited Buyer Representative, GREEN, and e-Pro. She stands out not just for her excellent experience and education in real estate, but her care of clients, high level of ethical standards, empathy, assertiveness, and knowledge of the market. Garr is active in the Tucson community as president of Mother Earth Ministries, serving inmates in the Arizona state prison system. Clients say she is knowledgeable, friendly, and responsive, delivering a high level of service and excellent results. They find her easy to work with and rely on her as a resource for all of their real estate needs in Tucson. Daniel Reichardt is the owner and broker of Genesis Real Estate & Management. 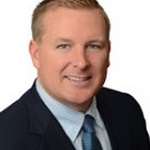 He has more than 11 years of experience, and holds a number of real estate designations including Graduate of the Realtor Institute, Certified Negotiation Expert, and Accredited Buyers Representative. Offering full service real estate and management, Reichardt offers buying listing, foreclosure sales, vacant land transactions, investment properties, full service property management, and more. He is committed to exceeding the needs and expectations of his clients, and works hard to build great relationships with them. Much of his success can be attributed to his referrals from past clients, indicating a long track record of satisfied real estate customers. He also offers a helpful approved service vendor list for his clients, helping them find house keepers, air conditioning repair, plumbers, maintenance, and other providers that can deliver excellent service. Reichardt’s clients from investors to first time home buyers alike say he does an incredible job for them. They note his excellent communication, spot on suggestions, and ability to sell homes quickly and at a good price with aggressive marketing. They say they have complete faith in him and his team. 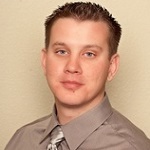 Calvin Case with Omni Homes International has more than 13 years of experience in real estate. 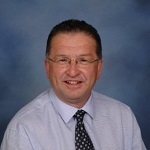 He also has more than 25 years of experience in Fortune 500 sales, management, and marketing, giving him an excellent background for supporting his real estate clients whether they are selling or buying a home. He promises to sell houses within 31 days, no gimmicks, and no underselling. Case specializes as a buyer’s agent and listing agent, and has a special interest in relocations, estate sales, first time buyers, luxury homes, investment portfolios, divorce, and consulting. He holds a number of real estate designations, including Accredited Luxury Home Specialist, Member of the National Association Of Realtors, Member of the Arizona Association Of Realtors, and Member of the Tucson Association Of Realtors. His achievements speak for themselves: he has been among the top 1% of Realtors in both Tucson and the United States since 2008, and in that same period of time, has sold more than $10,000,000 in real estate annually. Clients say Case is pleasant to work with, and always timely and responsive. They appreciate his recommendations, and say he is an excellent listener as well. They’re impressed by how well Calvin and his team understand the real estate business, local market, and how to market homes with today’s technology.